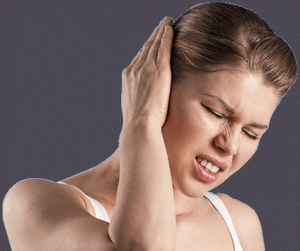 What is a ruptured eardrum? — A ruptured eardrum is a hole or tear in your eardrum. 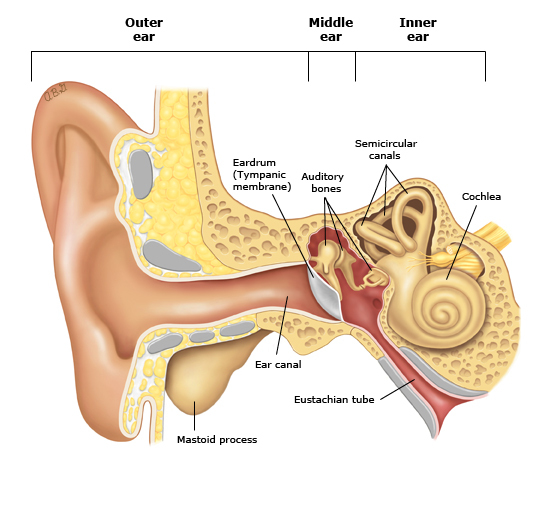 The eardrum is a thin layer of tissue between the ear canal and middle ear (figure 1). ●Ear infections – This can cause fluid to build up and press on the eardrum. ●Poking the eardrum – This happens if you poke a Q-tip, bobby pin, or other object into your ear canal. Will I need tests? — Yes. Your doctor should be able to tell if you have a ruptured eardrum by learning about your symptoms and doing an exam. He or she will also do tests to check your hearing. How is a ruptured eardrum treated? — If your ruptured eardrum was caused by an infection, you will need to take antibiotics. These might be given as pills or in liquid form (for children). Your doctor might also prescribe antibiotic eardrops to prevent infection of the lining of the ear. If your ruptured eardrum has caused an injury to the ear (for example, from a Q-tip), your doctor might prescribe only antibiotic eardrops. Most of the time, a ruptured eardrum heals by itself, within hours or days. You should see your doctor about 2 weeks after your first visit so he or she can check if your eardrum has healed. If it has not, you will need to see an ear, nose and throat (ENT) specialist. He or she might do surgery to put a tiny paper patch on your eardrum to help seal the hole. Is there anything I can do on my own to feel better? — Yes. You can take an over-the-counter medicine for pain, such as acetaminophen (sample brand name: Tylenol) or ibuprofen (sample brand names: Advil, Motrin). Can a ruptured eardrum be prevented? — To reduce your chances of getting a ruptured eardrum, do not put Q-tips or other objects into your ear canal.